NICE has issued draft guidance which rejects Ipsen’s Cabometyx for NHS use in previously treated advanced renal cell carcinoma (RCC). 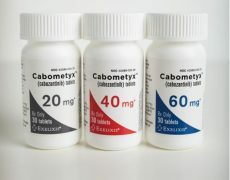 Cabometyx (cabozantinib), is an important new treatment for the company, and its pivotal trials showed the drug can extend overall survival in previously treated patients, the first such drug to show these benefits. The drug was approved in Europe in September as the only licensed treatment to show significantly improved overall survival, progression-free survival and objective response rate compared with Novartis’ Afinitor (everolimus). However NICE’s independent appraisal committee concluded that the additional benefits of cabozantinib compared with current care were highly uncertain, as the meta-analysis evidence presented by the company was unreliable. 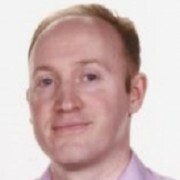 They also noted that the incremental cost-effectiveness ratios (ICERs) for cabozantinib compared with any comparator exceeded £30,000 per QALY gained. The committee concluded therefore that it could not recommend it as a cost effective use of NHS resources. Pfizer’s Sutent and Bayer’s Nexavar, GSK’s Votrient and Roche’s Avastin are current market leaders in first line care, but Cabometyx has been expected to take away sales for Novartis’ Afinitor in this second line setting. The decision, unless reversed with new data or a lower price, will be a blow to Ipsen and its goal of expanding its oncology franchise. The draft ruling is particularly disappointing for Ipsen as Cabometyx was designated as a ‘Promising Innovative Medicine ‘by the UK regulator the MHRA last year. This indicates that a drug has potential in patients with a poor prognosis and limited treatment options – but doesn’t carry any guarantees regarding NICE approval. Ipsen licensed Cabometyx from US company Exelixis a year ago, gaining exclusive marketing and further development rights outside the United States, Canada and Japan. However the big news in RCC is the arrival of immunotherapy treatments, which are set to change the treatment landscape. BMS’s Opdivo gained European approval for second line treatment of advanced RCC in June 2016 and in November gained a swift NICE approval (albeit after being forced to lower its price via a Patient Access Scheme), based on data showing it could extend overall survival. Roche has just released phase 2 of its immunotherapy Tecentriq in RCC, which showed that Tecentriq plus Avastin showed benefits over Sutent in patients whose disease expressed PD-L1.